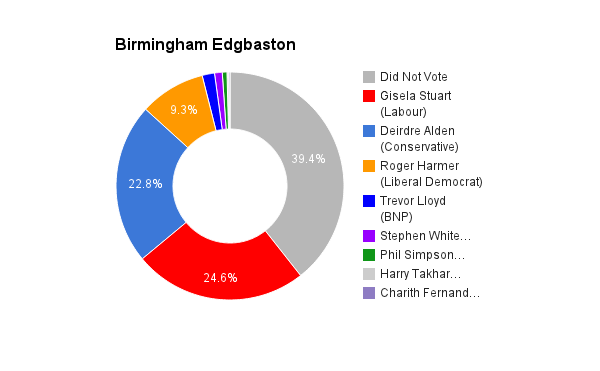 Birmingham Edgbaston is located in the West Midlands. It was created in in 1885 and was held by the Conservative party between 1898 and 1997 but has been held by Labour since then. The current member of parliament is Labour’s Gisela Stuart who has served since 1997.